The use of the word “enablers” in this discussion of kleptocratic networks is deliberate. It is meant to provoke a more candid consideration of the actual impacts of many activities in which respectable professionals participate. The use of the word “enablers” in this discussion of kleptocratic networks is deliberate. It is meant to provoke a more candid consideration of the actual impacts of many activities in which respectable professionals participate. Often, to be fair, facilitating practices or programs are engaged in unintentionally. The people who implement them don’t mean to reinforce criminally corrupt governments or their allies. In most cases, they intend to do just the opposite, and may simply not be examining with enough care the actual costs that reverberate out from a project they support, versus its apparent direct benefits. In other cases, however, the phrase “willful blindness” might be a more apt description of their attitude. The actions or services provided by still other entities that do business with members of such kleptocratic networks must be labeled active facilitation. In a range of the latter cases, the distinction between an external enabler, as opposed to a full-blown member of what is best understood as a transnational kleptocratic network, may be hard to parse. Further research, therefore, should seek to develop a picture of these systems that is less geographically centered on a single country and to examine the web of international intersections and relationships outside that frame in a more concerted fashion than we do here. The following discussion, and the different colors used in this study’s infographic diagrams, are meant to encourage consideration of the different categories referred to above. In many cases, the choice of one classification rather than another came down to a judgement call. This category is composed of entities or activities whose reinforcement of kleptocratic practices may not be intentional. Given the history of the U.S. military’s involvement in Honduras, there is a tendency among Hondurans and outsiders who know the country well to see U.S. security assistance as a determining factor in the country’s destiny. The reality of that support, especially in comparison with other recipients in today’s post–September 11 context, may not match its psychological impact, so it is important to distinguish the two. But doing so is complicated by an extremely confusing tissue of overlapping funding streams exacerbated by a generalized lack of transparency. Not included in this figure are arms sales ($15.6 million authorized in 2015401) or the flexible, State Department–run counternarcotics funding stream, dubbed International Narcotics Control and Law Enforcement (INCLE). At least through 2014, Honduras was also a favored site for U.S. Special Forces joint trainings, and some officers stay in the country to monitor operations mounted by their trainees.402 The budget for those activities is also unknown, as is the amount of money the United States spends on Colombian officers it hires to train their Honduran military and police counterparts. But in repeated conversations with U.S. military officers delivering security assistance or training and mentoring to local forces worldwide, the assumption has been that such partnering is by its very nature a positive, that it helps “professionalize” local officers.405 U.S. military leadership initially credited the refusal of Egyptian soldiers to fire on Tahrir Square protesters, for example, to the training some of their officers had received at U.S. military schools. But it proved impossible even to connect with any of the graduates during the crisis, and given the subsequent coup against former president Mohamed Morsi and the killing of at least 1,000 demonstrators by Egyptian security forces in August 2013,406 U.S. training came to seem insignificant in explaining that early behavior. The Leahy Law prohibits the provision of military assistance or training to a unit “if the secretary of state/secretary of defense has credible information that such unit has committed a gross violation of human rights.”407 However, the restrictions can be waived in “extraordinary circumstances,” and since the September 11 terrorist attacks, U.S. assistance has been delivered to several units known to perpetrate extrajudicial killings.408 In Honduras, the mixing of different units on a single operation complicates the identification of perpetrators of human rights violations. Most such violations have been episodic,409 and don’t rise to the level of the widespread violations that, for example, bloodied neighboring Guatemala during that country’s civil war. One exception—to which U.S. security assistance may be linked—is the pattern of abuses committed by members of the Xatruch force deployed in the Bajo Aguán.410 Half a dozen years earlier, officers from this same Xatruch force were deployed to Iraq as part of the U.S.-led coalition. While the makeup of the units may have shifted between the two episodes (and the sequence means the Leahy Law would not apply, since the alleged human rights violations occurred after the assistance and partnering in Iraq), this relationship exemplifies how the U.S. security relationship fails to prevent abuses, and more likely gives recipient forces a sense of impunity. An enforcement action on behalf of a kleptocratic network need not necessarily qualify as a gross violation of human rights to be effective, moreover. While it is important to make crisp distinctions between assistance that materially empowers specific abusive units and security-sector support in general, it is also true that the mere existence of an assistance relationship can serve a significant enabling role for such networks. Few ordinary Hondurans are in a position to track the details of which particular units receive assistance. The various forces operate jointly in any case. U.S. support sends a message of invincibility that network leaders can amplify by means of various public messaging tactics. In this light, all U.S. military assistance must be understood to play an enabling role to the current ruling networks. When that assistance takes the form of military training provided to a favored police unit, such as the TIGRES, the reinforcing function is even more direct. President Hernández’s habit of mixing units within joint task forces further complicates the picture, and makes it more likely that Hondurans’ perception of U.S. military assistance will extend to all those units that directly report to Hernández. Mindful of this enabling effect, members of the U.S. Congress in the wake of the Cáceres assassination introduced a bill that would suspend all security assistance grants or loans to Honduras. The cutoff would stay in effect until Tegucigalpa has investigated and brought suspects in her murder and some others to trial, has “withdrawn the military from domestic policing,” and has built a judicial system capable of bringing members of the security forces to justice for human rights violations.411 American experts and advocates gave this bill a slim chance of passing. But despite a State Department certification that Honduras has met qualifying conditions, Congress was still holding up its portion of a large aid package earmarked for the region in March 2017. Development professionals who fund or implement projects in the countries in question have been among those most stung by the “enabling” concept—and its evocation of misguided family members currying favor with an alcoholic by providing drinks on the sly. In conversations sparked by the suggestion, assistance personnel have frequently cited their agencies’ incentive structures, which often prioritize the expenditure of budgets over the outcomes achieved. Others point to sovereignty concerns and the need to work with local governments to improve their capacity to serve their citizens. Most rightly point to the significant—often onerous—efforts their institutions require of them to avoid waste of resources. In meetings with officials at Sweden’s development agency, reflections went deeper. Visibly distressed, several employees acknowledged that this framing of corruption problems challenged their whole understanding of themselves and their place in the world—their ability to think of themselves as people who do good. Asked if she could point to specific improvements in government capacity that might indicate that Honduras was at least embarked on a positive trajectory, the European official could not. Since the last time she had worked intensively on Honduras twenty years ago, she conceded that “progress has been very slight. One step forward, two steps back. And then,” she noted, “there was a double-dip with the coup.” Echoing her regional counterpart, she regretted that “new people can be of different quality and standards” from the old. Such an attitude, coupled with a manifest lack of research into the nature of the institution that is receiving development assistance, can only be considered enabling. The Office of Transition Initiatives (OTI), known as the most nimble branch of the U.S. Agency for International Development, and which attracts personnel tempered by experience in the difficult theaters of Afghanistan and Iraq that absorbed so much U.S. attention over the past decade, controls $67.6 million per year worldwide.416 In Honduras, it supports small projects aimed at improving conditions in the most violent urban neighborhoods. Yet, though OTI has an interest in police-community relations, it has not analyzed the police purges conducted by the recently established police reform commission, officials told us." USAID-funded anti-gang work, according to the description of a top implementer, is also focused on the micro-environment: the individual and family characteristics likely to make a young person susceptible to gang recruitment.417 Its very premise avoids scrutiny of the larger forces that may be pushing young people toward gang membership, instead emphasizing traits that are unique to each youth. OTI also provides small infrastructure grants, especially in urban neighborhoods where they are seen as likely to improve the quality of life and reclaim no-go areas. It has kept these grants small, but its partners include the national electricity company, which is well integrated into the kleptocratic network. agencies, such as the Violent Crimes and Financial Crimes task forces. More recently, it has contributed to launching the new international justice-sector commission called for by anti-corruption protesters in 2015, the MACCIH, whose efforts are aimed at combating corruption and helping design and enact institutional reforms. (See below, pages 105–106.) Such programming does not seem to serve an enabling function. USAID emphasizes its work with local NGOs, be they environmental organizations or the ASJ, which is a leading actor in the police reform process and depends for its survival on Washington’s moral and material support. In Honduras as elsewhere, a degree of schizophrenia characterizes the delivery of such U.S. assistance to civil society. As one local recipient put it, “The issue is, the U.S. doesn’t want a crisis in its back yard. So it goes along with the politicians, saying ‘You can carry on with this type of poor governance’ while at the same time working with NGOs, because it wants to promote democracy and transparency and that kind of thing. But it can’t take that line openly, because that would be interfering with Honduran sovereignty.”419 It can sometimes seem as though the U.S. government is subcontracting its efforts in favor of good governance and ordinary people to local NGOs, while its official position cuts the other way. All interviewees stressed that the United States wields tremendous influence in Honduras—and thus leverage.420 U.S. officials tend to underestimate this type of influence, which is usually subtle and rooted in historical power dynamics. They often cast themselves in the position of having to cultivate their developing country counterparts.421 Doing so, in the case of Honduras, rather than leveraging U.S. influence on behalf of the ordinary population, also serves an enabling function. 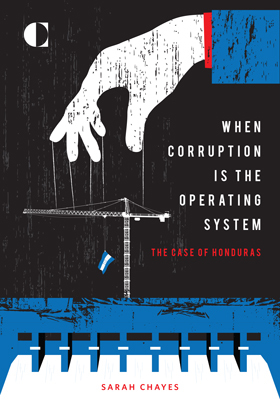 Even more significant financially than bilateral or multilateral aid are the loans made to Honduran public- and private-sector entities by international financial institutions that specialize in development.422 Interviewees who work within these institutions proved remarkably secretive—often more secretive than Hondurans who are under daily physical threat. In every case we examined, we found the connection between purported development objectives and what actually happened on the ground to be circuitous, to put it mildly. The widespread use of subordinate development funds like the one this interviewee manages came as a surprise to our research team. They are time-limited pools of money to which a number of different lenders or bilateral aid agencies commit investments, and hand off to ordinary private equity firms to manage. The “shareholders” expect development outcomes but also a return on investment. Such instruments add yet a further management layer between the governments originally providing development assistance and the intended beneficiaries. At this stage, it is no longer just one foreign ministry or development agency that establishes the investment guidelines. All of the investors—which may be governments, international financial institutions, bilateral or multilateral development agencies, or development banks—must negotiate the terms of a single guidance document. As for the fund managers, though they presumably play by the explicit rules they are given—don’t make investments in prohibited economic sectors, for example—they measure themselves by the same standard any investor does: return on investment. “The private equity guys are money guys, not development guys,” noted one development bank official. The firm that manages CAMIF is Latin American Partners, a subsidiary of EMP Global. Another of EMP’s clients is the sultan of Brunei. Perhaps the most egregious recent example was the investments by the Central American Bank for Economic Integration (CABEI), the Dutch development bank FMO, and its subordinate partner Finnfund in the Agua Zarca dam project. It seems it should not have taken the brutish predawn murder of one of the most cherished community leaders in Central America for the project’s international funders to rethink their initial support. But only some weeks after Cáceres’s assassination, in the vortex of an international uproar, did they finally withdraw from the project. Other observers suggest it was hard not to notice what was going on. Asked if there was anything they would do differently in light of the tragedies that have attended the Agua Zarca project, our Finnfund interlocutors replied that they “still think we followed good practices,” but now they know it’s not enough to examine just the merits of a project. They also need to look at “the broader political context.” But in their minds, that context did not include the kleptocratic nature of the Honduran power structure. They thought increased due diligence efforts should be aimed at finding out if any “powerful NGOs” lurk in the vicinity that may sway world opinion against the project. This one small example thus illustrates the careless way that development finance institutions are injecting money into Honduras. Success is measured largely in terms of financial return, with personnel proudly citing projects like Celtel in Africa, which “made lots of money for investors!” and more slides on evaluation documents taken up by dollar amounts than by outcomes for beneficiaries. Are these truly the right criteria for gauging the success of development projects? “Money for investors” (by virtue of a rigged, secret contracting system) is why the Honduran kleptocracy has raced into solar and hydroelectricity. But that type of profitability, financed by development loans, is in fact degrading the Honduran government and undermining development outcomes. So what is the real reason development agencies are rushing to hand their budgets over to development banks? Is it that their personnel don’t have the manpower, energy, or capacity to comply with their own somewhat more stringent oversight requirements? Is the consensus that these administrative hoops have grown so constraining that the need to jump through them fatally encumbers the process of aid implementation? Have people on both sides of the Atlantic been brainwashed by the prevailing zeitgeist, apparently unscathed by the 2008 financial crisis, that private-sector answers to all questions are just intrinsically better? Or are at least some of these banks themselves intertwined into the kleptocratic networks of the countries they serve? In the case of the Agua Zarca dam, two Atala cousins serve as the vice president and a board member of DESA. The board member, José Eduardo Atala Zablah, is the past Honduran CABEI director, a relationship that may have helped the company secure its CABEI loan. The current Honduras director at CABEI is none other than the daughter of former president Lobo, Tania Lobo. So it is a matter of judgement, to be applied on a case-by-case basis and based on more in-depth inquiries than have been conducted here, to determine whether some of these development banks should be considered merely enablers or perhaps full-fledged network members. This term refers to entities that knowingly provide vital services to kleptocratic networks, but usually for remuneration and without discrimination. They would provide similar services to anyone who could pay for them. Given the importance of U.S. policy to the fortunes of Honduras’s kleptocratic networks, the firms that have provided lobbying services on their behalf in Washington must be considered service providers, actively facilitating network practices. These firms’ operations—and impact—were most clearly visible in the immediate aftermath of the 2009 coup. The results were spectacular. Although Hillary Clinton’s own ambassador wrote of the events of June 2009, “the Embassy perspective is that there is no doubt that the military, Supreme Court, and national congress conspired on June 28 in what constituted an illegal and unconstitutional coup,”449 and her policy planning chief Anne-Marie Slaughter urged her to label it as such and cut off U.S. assistance, the then secretary of state refused to use the coup terminology. Her stated reason for shunning it was to avoid “hurting the people” through what would have been the resulting legally mandated aid cutoff.450 Clinton called Zelaya’s attempt to return to the country “reckless,”451 and pushed Tegucigalpa to move on by quickly organizing elections, though mass demonstrations against the coup were being savagely repressed by security forces. The original 2014 edition of Clinton’s autobiography, Hard Choices, lays out her reasoning for this policy stance,452 but, perhaps because the reality might prove embarrassing—at a time when Clinton was courting Latino voters for her presidential bid—the section was removed from the 2015 paperback version. More recently, the Honduran administration (“principal place of business at Casa Presidencial, Tegucigalpa, Honduras”) contracted with the Washington office of Ketchum Inc. for nearly half a million dollars for strategic public relations services at the height of public outrage and demonstrations over the IHSS revelations.453 The president’s sister, Honduran Communications Minister Hilda Hernández, is a signatory to the contract. The Panama Papers leak, consisting of e-mails exchanged between a law firm providing shell company registration and other services and its clients, contained few Honduran correspondents. Among the well-known network names, Goldsteins and Rosenthals had most recourse to Mossack Fonseca’s services.454 But that law firm is just one of many operating in Panama alone. Moreover, it may be that money-laundering is so easy to accomplish within Honduras that the services of such offshore facilitators are not necessary. Within this category are prevailing circumstances, often of a geostrategic order, that work in favor of kleptocratic networks. Widely accepted political or economic theories or competing diplomatic or security imperatives may weigh on outside decisionmakers, contributing to their tendency to take a tolerant approach to a partner country’s kleptocratic networks and practices. In the case of Honduras, several such enabling conditions have affected U.S. policies in particular, but also those of other international actors. Foremost among them has been a consistent preference especially on the part of successive American administrations in favor of liberalized trading conditions, and the privatization of public enterprises as a way of addressing their financial losses and governance problems. Privatization has frequently been seen to be a good in and of itself, with little attention paid to the modalities of the transfer of state-owned assets, specific mechanisms for addressing identified problems, and benchmarks to ensure and measure that market liberalization as implemented does in fact produce better outcomes. Similarly little attention has been paid to the relationships among individuals holding positions of leadership in the public and private sectors. The conceptual presumption in favor of privatization and trade liberalization is shared by most international financial institutions and, to a somewhat blunted degree, by European donors. Concern not to see Chávez’s regional influence reinforced—along with the incoming U.S. administration’s preoccupation with two difficult wars in the Middle East—may have contributed to Washington’s 2009 rush to normalize the situation in Honduras, even at the cost of sanctioning a coup that restored to primacy and vastly empowered the country’s kleptocratic networks, over the protests of an outraged civil society. With two wars against extremist movements having shown little progress despite the generous application of money, civilian and military personnel, and the best minds in the U.S. government, the wrong lessons from those efforts were transferred to Honduras. By 2010 or 2011, it was clear that no amount of military force was going to deliver a deathblow to the tenacious movements that were challenging the governments of Afghanistan and Iraq and their international backers. Indeed, so reviled were those governments that continuing to provide them with essentially unconditional support was proving counterproductive. Yet a parallel approach was applied to Honduras, as U.S. assistance focused on enforcement against gangs and drug cartels and studiously ignored the organized capture of the political and economic order by the networks that had orchestrated the coup. Some Honduran security personnel participated in the war in Iraq, while others were trained by U.S. forces that had served in one or both theaters. Even USAID personnel working the Honduras account had Afghanistan or Iraq experience. Unfortunately, rather than leading to an alternate strategy for Honduras that gained from the painful experience and sought to test creative new ways of getting at similar problems, this overlap led to the replication of the same approach that had failed in those wars. Benefiting from this short-sightedness, Hernández has taken steps that respond to immediate U.S. imperatives, thereby winning a degree of acquiescence to policies and practices that arguably reinforce the underlying conditions that give rise to gang and drug-trafficking activity in the first place. 396 E-mail communication, March 7, 2017. 397 Adam Isacson, “A Walk Through the Billion-Dollar U.S. Aid Request for Central America,” Security Assistance Monitor, February 23, 2015. 398 E-mail communication on February 28, 2017. 399 “Security Aid by Year: Honduras, 2011–2017,” Security Assistance Monitor, http://securityassistance.org/data/program/military/Honduras/; for context, see Peter J. Meyer, “U.S. Foreign Assistance to Latin America and the Caribbean: Trends and FY2017 Appropriations,” Congressional Research Service, October 6, 2016. This report does not include Department of Defense assistance—therefore the bulk of security assistance—which in recent years has amounted to approximately one-third of all U.S. assistance, according to Security Assistance Monitor figures. 400 “Country Profile: U.S. Security Assistance to Honduras,” Security Assistance Monitor, December 1, 2014; also, private conversation with a U.S. Army officer who had just completed a year’s deployment at US Southern Command’s Soto Cano base, who said most activities were with and on behalf of non-Honduran militaries. See also Thom Shanker, “Lessons of Iraq Help U.S. Fight a Drug War in Honduras,” New York Times, May 5, 2012, http://www.nytimes.com/2012/05/06/world/americas/us-turns-its-focus-on-drug-smuggling-in-honduras.html. 401 “Arms Sales by Year: Honduras, 2010-2016,” Security Assistance Monitor, http://securityassistance.org/data/program/arms/Honduras/2010/2016/is_all/Latin%20America%20and%20the%20Caribbean. 402 Sarah Kinosian and Adam Isacson, “US Special Operations in Latin America: Parallel Diplomacy?,” Washington Office on Latin America, August 30, 2016, https://www.wola.org/analysis/u-s-special-operations-latin-america-parallel-diplomacy/; Gabe Johnson and Michael M. Phillips, “Green Berets Train Elite Forces in Honduras,” Wall Street Journal video, February 21, 2016, http://www.wsj.com/video/green-berets-train-elite-police-units-in-honduras/D80E3F64-F857-4439-892B-068B85445BBC.html. 403 In Afghanistan, by way of analogy, it was the frequent practice of former president Hamid Karzai’s younger brother Ahmed Wali to threaten to call in a special forces raid on the homes of residents who contested his practices. Given his close relationship with the CIA, and the relatively frequent raids on individuals with known antipathy for the Taliban, these threats were believed. Sitting in the receiving room of a Kandahar governor one day, alongside at least fifteen people waiting for their chance to speak with him, I watched Canadian officers enter with rolled maps under their arms. The governor retired with them to a separate room for approximately a half hour. Then they emerged and the officers bustled out. That display significantly reinforced the governor’s power vis-à-vis his constituents. 404 Multiple conversations with NATO officers and political-military affairs officials from 2006 to 2016. 405 For an excellent discussion of the misuse of military assistance especially since 9/11, see Justin Reynolds, “Training Wreck,” American Interest, February 7, 2017, http://www.the-american-interest.com/2017/02/07/training-wreck/. 406 “All According to Plan: The Rab’a Massacre and Mass Killings of Protesters in Egypt,” Human Rights Watch, August 2014, https://www.hrw.org/sites/default/files/reports/egypt0814web_0.pdf. 407 Limitation on Assistance to Security Forces, 22 USC 2378d, United States Code; Prohibition on Providing Financial Assistance to Terrorist Countries, 10 USC2249a, United States Code. 409 See “Summary of Human Rights Issues and Events in Honduras, October to December 2014,” Honduras Accompaniment Project, December 2014, https://hondurasaccompanimentproject.files.wordpress.com/2015/03/proah-human-rights-summary-2014-oct-dec.pdf; and this spreadsheet of alleged human right violations committed by different Honduran units is provided by Security Assistance Monitor: “List of Abuses Allegedly Committed by PMOP & TIGRES in Honduras,” Security Assistance Monitor, https://docs.google.com/document/d/1755atRHmmM86KuwYC_hG842Ye1SPWsNfNHtagRVCqxM/mobilebasic. 410 “There Are No Investigations Here,” Human Rights Watch. 412 “Plataforma Gestión de la Ayuda” [Help management platform], Secretaría de Relaciones Exteriores y Cooperación Internacional [Honduras Ministry of Foreign Affairs and International Cooperation], http://pgc.sre.gob.hn/portal/. The fact that this service itself is funded by overseas development donors, that much of its data is nonexistent, and that only four words are actually translated on the English version, speaks volumes. 413 Interview (telephone), November 10, 2016. 414 Interview, Tegucigalpa, August 2016. Indeed, the chronically incapable environment ministry is a champion at attracting donor assistance. The U.S., Canadian, German, Japanese, and Spanish development agencies have joined forces with multilateral donors and such international charities as the Nature Conservancy, the Rainforest Alliance, the World Land Trust Fund, and the World Wildlife Fund to stem the destruction of the Honduran natural patrimony—to only patchy effect. 415 “Political Transition Initiatives: Honduras,” USAID, https://www.usaid.gov/political-transition-initiatives/honduras; Democracy International Inc., “Mid-Term Performance Evaluation of the Transparent Local Governance and Improved Service Delivery Project,” USAID, May 2014 http://pdf.usaid.gov/pdf_docs/PA00KC86.pdf. 416 “Congressional Budget Justification: Foreign Operations, Appendix 3,” U.S. Department of State, 2016, https://www.state.gov/documents/organization/238222.pdf, 640. 417 Interview, Tegucigalpa, July 23, 2016. 418 Interview, Tegucigalpa, August 3, 2016. 419 Interview, Tegucigalpa, August 2, 2016. 420 See “Can President Zelaya Be Brought Back to the Fold?” (U.S. Embassy Tegucigalpa cable to Washington), WikiLeaks, September 19, 2008, https://wikileaks.org/plusd/cables/08TEGUCIGALPA863_a.html. 421 Personal experience and conversations with U.S. and UK diplomats, especially in Afghanistan and Nigeria. For a historical example, see Robert W. Komer, Bureaucracy Does Its Thing (Santa Monica, CA: RAND Corporation, 1972), especially chapter 3. 423 Interviews, Tegucigalpa, August 2016. 424 Tuula Näätänen, “The Activities of the Finnish Fund for Industrial Development Cooperation Ltd. (Finnfund),” National Audit Office of Finland, 2010. https://www.vtv.fi/en/publication/the_activities_of_the_finnish_fund_for_industrial_development_cooperation_ltd._(finnfund).5380.xhtml. 425 Interviews, slide decks on evaluation methodology and results, provided by a development bank official. 426 Interview, Helsinki, June 6, 2016. 427 Interviews, Tegucigalpa, August 2016. 429 Interview, Helsinki, June 6, 2016. 430 Interview, Washington, DC, October 15, 2016. 431 Finnfund officials conceded that all of their Honduran borrowers “know Hernández well. Still, we don’t think they are politically connected.” Finnfund’s “big concern” with respect to potential borrowers is involvement in drug trafficking, not corruption. Interviews, Helsinki, June 6, 2016. 432 Interview, Washington, October 15, 2016. 433 Interviews, Helsinki, June 6, 2016. 435 Interview, Tegucigalpa, August 2016. 436 See the International Finance Corporation’s internal investigation on Dinant here: “Honduras / Dinant-01/CAO Vice President Request,” Office of the Compliance Advisor Ombudsman, April 17, 2012, http://www.cao-ombudsman.org/cases/case_detail.aspx?id=188., and on Ficohsa here: “Honduras / Ficohsa-01/CAO Vice President Request,” Office of the Compliance Advisor Ombudsman, August 21, 2013, http://www.cao-ombudsman.org/cases/case_detail.aspx?id=209. Note, these proceedings demonstrate that though it may be cumbersome, the IFC does at least supply and employ oversight mechanisms. IFC Compliance Advisor Office procedures assessing Dinant were suspended for two years during a dialogue effort the IFC sponsored. But the dialogue satisfied neither of the parties, so the formal assessment was rebooted in early 2017. See “CAO Assessment Report: Complaints Regarding IFC’s Investment in Dinant (Project # 27250),” Office of the Compliance Advisor Ombudsman, February 2017, http://www.cao-ombudsman.org/cases/document-links/documents/CAOAssessmentReport_Dinant2and3_February2017_English.pdf. 437 Interview, Tegucigalpa, August 2016. 438 See also this FMO fact-sheet about the project: “Frequently Asked Questions on the Agua Zarca Run-of-the-River Hydroelectric Generation Project,” FMO, https://www.fmo.nl/agua-zarca; and this rebuttal: Willems and de Jonghe, “Protest and Violence Over the Agua Zarca Dam.” Both were written before Cáceres’s murder. 440 Conor M. Savoy et al., “Development Finance Institutions Come of Age,” Center for Strategic and International Studies, October 2016, https://www.csis.org/analysis/development-finance-institutions-come-age. 441 See Anthony H Cordesman, Bryan Gold, and Ashley Hess, “The Afghan War in 2013,” Center for Strategic and International Studies, May 2013, https://csis-prod.s3.amazonaws.com/s3fs-public/legacy_files/files/publication/130506_Cordesman_AfghanWar2013_VolumeIII_Web.pdf; as well as many of the reports published by the Special Inspector General for Afghanistan Reconstruction, available at https://www.sigar.mil/, among numerous other studies. 442 This interviewee also noted that almost none of the senior managers had any professional background in development or environmental policy. 443 “Lobbying Registration: The Cormac Group,” United States Senate, June 19, 2009, https://soprweb.senate.gov/index.cfm?event=getFilingDetails&filingID=156C9E57-1428-47FE-AFDF-10D1356299C8&filingTypeID=1; and Elizabeth Dickinson, “Who’s Lobbying for the Coup: How a Washington Split on Honduras Policy Came to Be,” Foreign Policy, August 4, 2009, http://foreignpolicy.com/2009/08/04/whos-lobbying-for-the-coup/. 444 “Lobbying Registration: Vision Americas,” United States Senate, July 6, 2009, https://soprweb.senate.gov/index.cfm?event=getFilingDetails&filingID=14681E1A-6E9F-4C5D-BDAB-E98458188735&filingTypeID=1; “Lobbying Report: Vision Americas,” United States Senate, July 20, 2009, https://soprweb.senate.gov/index.cfm?event=getFilingDetails&filingID=089A12E5-0426-4A03-8288-48239E41BD98&filingTypeID=60; “Lobbying Report: Vision Americas,” United States Senate, August 3, 2009, https://soprweb.senate.gov/index.cfm?event=getFilingDetails&filingID=A5F5821F-B109-4111-9D51-A4FA915C5C7B&filingTypeID=71. 445 Kevin Bogardus, “Honduran Government Hires PR Shop,” Hill, September 27, 2009, http://thehill.com/business-a-lobbying/60471-honduran-government-hires-pr-shop. 446 Dickinson, “Who’s Lobbying for the Coup”; and Roberto Lovato, “Our Man in Honduras,” American Prospect, July 22, 2009, http://prospect.org/article/our-man-honduras. 447 “Lobbying Report: Orrick, Herrington & Sutcliffe LLP,” United States Senate, October 9, 2009, https://soprweb.senate.gov/index.cfm?event=getFilingDetails&filingID=2C193632-0147-4C93-8C9C-2F5E028D7241&filingTypeID=71; “Lobbying Registration: Orrick, Herrington & Sutcliffe LLP,” United States Senate, July 6, 2009, https://soprweb.senate.gov/index.cfm?event=getFilingDetails&filingID=FF968D1B-6FCD-43CA-9698-2809FCFACC43&filingTypeID=1. 448 “Lobbying Registration: McDermott Will & Emery LLP,” United States Senate, October 14, 2009, https://soprweb.senate.gov/index.cfm?event=getFilingDetails&filingID=AF01857E-82D1-4D80-B251-8AB15FCB472A&filingTypeID=1. 449 Alan McLean, Scott Shane, and Archie Tse, “A Selection From the Cache of Diplomatic Dispatches,” New York Times, June 19, 2011, http://www.nytimes.com/interactive/2010/11/28/world/20101128-cables-viewer.html?hp#report/cables-09TEGUCIGALPA645. 450 Juan Gonzales, “Hillary Clinton’s Policy Was a Latin American Crime Story,” New York Daily News, April 12, 2016, http://www.nydailynews.com/news/national/gonzalez-clinton-policy-latin-american-crime-story-article-1.2598456. 451 Nina Donaghy, “Clinton Calls Zelaya ‘Reckless’ for Trying to Return to Honduras,” Fox News, July 24, 2009, http://www.foxnews.com/politics/2009/07/24/clinton-calls-zelaya-reckless-trying-return-honduras.html. 452 Hillary Rodham Clinton, Hard Choices (New York: Simon & Schuster, 2014), 266–68. 453 U.S. Department of Justice, “Exhibit A to Registration Statement,” August 31, 2015, https://www.fara.gov/docs/5758-exhibit-AB-20150831-11.pdf. 454 The International Consortium of Investigative Journalists’ (ICIJ) Panama Papers website allows for searches by country. See “Brown by Country: Honduras,” Offshore Leaks Database, ICIJ, https://offshoreleaks.icij.org/search?c=HND&cat=1; in particular, “Medina, Rosenthal & Fernandez Central Law Honduras,” Offshore Leaks Database, ICIJ, https://offshoreleaks.icij.org/nodes/11007054. Local media covered the revelations as in this article: “Nombre de epresario hondureno figura en escandalo de Panama Papers,” El Heraldo, April 4, 2016, http://www.elheraldo.hn/pais/946499-466/nombre-de-empresario-hondureño-figura-en-escándalo-de-panamá-papers. 455 Examples of the framing of the Chavez relationship in the conservative U.S. press include “Obama Lashes Out at Honduras; Sides With Chavez, Castro,” Drudge Report, June 29, 2009; or David Ridenour, “Obama Administration Was Wrong to Cut Off Aid to Honduras,” National Policy Analysis, September 2009, www.nationalcenter.org/NPA579.html; see also “Honduras: USG Should Keep Zelaya Nervous About Chavez, Despite Impending GOH-GOV Oil Deal” (U.S. Embassy Tegucigalpa cable to Washington) WikiLeaks, May 31, 2006, https://wikileaks.org/plusd/cables/06TEGUCIGALPA985_a.html.